Current mani time! 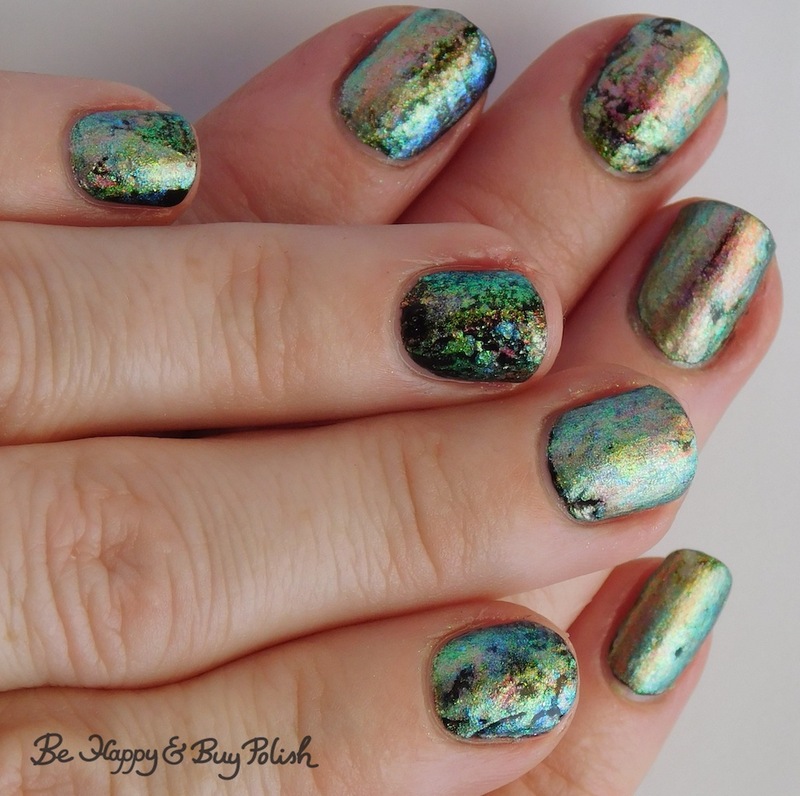 If you’ve followed this blog for any amount of time, you know that I’ve been trying to perfect an oil slick or oil puddle look. 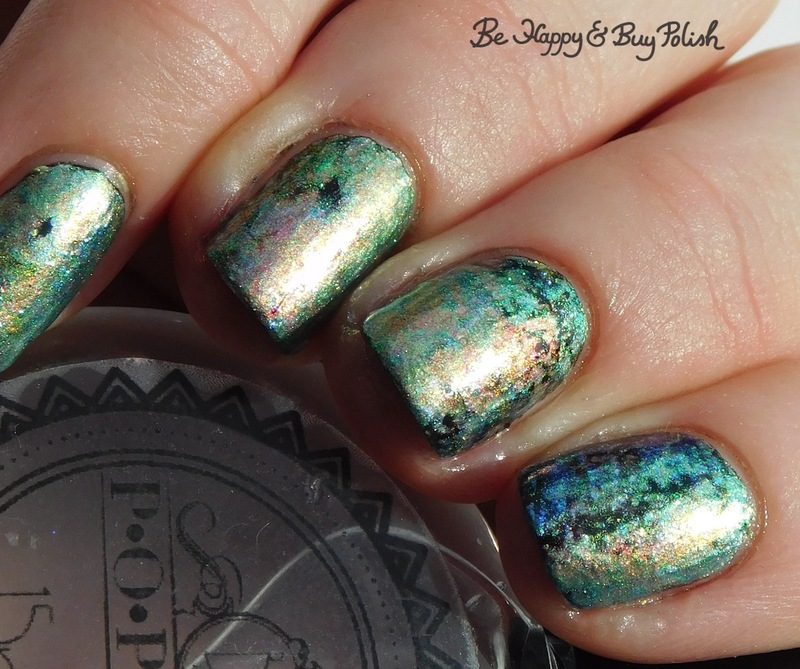 I tried an oil slick manicure with Parrot Polish, with KBShimmer, and I think I finally nailed it! Keep reading to see how I created this look. I was playing around with the Pastel Oil Slicks the other day, and I was actually going to do something completely different. You know the distressed technique with a stamper I’ve done before? Well, I still haven’t moved the majority of my polishes or my supplies so I tried that technique out on a plastic baggie. I don’t even remember what polish I started with, but I just kept layering polishes over each other on the plastic baggie. Then when it was dry, I cut the decals into nail size pieces and applied over a black polish. I did need two coats of top coat because the decals dried a bit textured. I am so insanely happy with how this manicure turned out, it truly looks like an oil spill puddle!